Avaaz - CRAIGSLIST: Used furniture. Dead elephants? CRAIGSLIST: Used furniture. 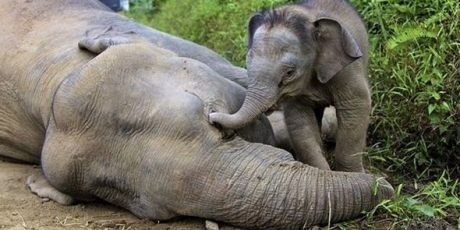 Dead elephants? We are the last generation who can save elephants from extinction, and we need your help. Craigslist can do much more to enforce its existing ban on ivory sales, by implementing an aggressive monitoring program to ensure ivory is not sold or advertised on the site, and reporting illegal sales to authorities to support enforcement efforts. UPDATE July 29, 2015: The media is catching on! Check out these articles in Gizmodo and another great piece in VICE. Keep signing, sharing the campaign and this great press. Craigslist needs to know we won't go away until they shut down #IllegalIvory! Experts say the majestic African elephant could be extinct in the wild within a decade. A website where many of us hunt for used furniture or apartment deals is helping to hammer the nail in the coffin. A new study found a flourishing black market for ivory on Craigslist, and no way to know where it comes from, despite laws and treaties banning or tightly restricting the trade. The appetite for ivory that's killing elephants across Africa and Asia is often blamed on consumers in China or Hong Kong, but conservation groups say North America is the second largest ivory retail market in the world. If Craigslist wants our business, they need to enforce their own policy, and aggressively block the sale of ivory. Let’s help give elephants a fighting chance by demanding they do. The more ruckus we raise, the more leverage we’ll have in negotiating with the company to do the right thing. Sign to the right and spread the word!